Like the Scythians and Sarmatians, the Alans were a horse-riding nomadic people, and speakers of an Iranian language of Western Central Asia - and kin too of the Saca and Yuezhi/Kushans further east. They were also related to the Persians and Medes and other Iranian people who had moved from the Steppe around 1000 BC to the Iranian plateau, and adopted a more sedentary way of life. The Yancai - the Chinese name for a nomadic people around the Aral Sea during the Han dynasty (206 BC - AD 220), who were mentioned by Zhang Xian. The princely family buried in such golden splendour at Tillya Tepe might be 'Alans of Ganju' from this era. A Chinese chronicle says the Yancai changed their name to Alanliao. They expanded west and south into the area north of the Black Sea around the end of the 1st century BC., under pressure from the Yuezhi/Kushans. They are also very probably the Aorsi referred to by Roman writers (Strabo, Tacitus) who supported Rome in settling problems in Bosporus Kingdom, their client state. The Alans may well have assimilated the Aorsi (aslo called Adorsi or Alanorsi). From their homeland north of the Black Sea they raided Armenia and Parthia around AD 72. The Alans survived the Gothic invasions (c AD 200) - and built up a powerful state between the Don and the Volga. This kingdom was destroyed by the Huns between AD 350 and AD 374. Some Alans migrated west - while others moved to the northern Caucasus. Others joined the Huns, who defeated the Ostrogoths, Visigoths and finally the Romans at Adrianople in 378. The Alans then fled further west to escape the Huns who were now moving into Hungary. In AD 406 they crossed the Rhine and ravaged Gaul for three years: but some then stayed in Gaul, and fought with the Romans against the Huns. They defeated Attila in 451 at the Battle of Catalaunian Fields (or Châlons) near Troyes. The others moved on to Spain, where they were destoyed by the Visigoths and Romans in around AD 417. The surviving Alans put themselves under the Vandal king Gunderic (rex Vandalorum et Alanorum) - and in 429 crossed to North Africa, where they founded a Vandal state which lasted until AD 534. 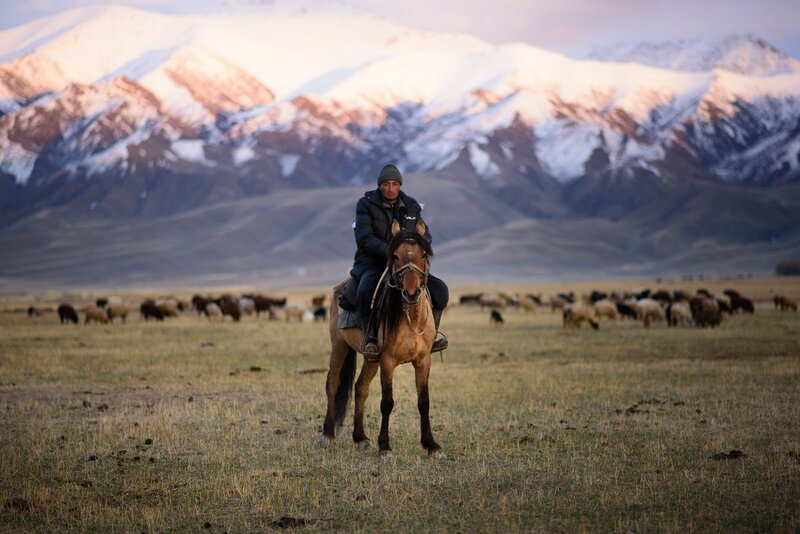 The Alans' 9000 km journey from Central Asia was complete! Meanwhile, the Alans' settlements in the Caucasus were evolving into the Christian kingdom of Alania, which was flourishing by the 8th century AD. They were joined around 1200 by the Alans who'd stayed put by the Black Sea - now driven out by the Mongols. Their land became Ossetia - still contested by Russia and Georgia. They still preserve their Indo-european language, the last remnants of Iranian languages once prevalent acrosss the Steppes of Central Asia. The remarkable 700-year journey of the Alans from the Aral Sea to Carthage. There's a tradition that the common French name "Alain" (and English Alan) became popular as a result of this important victory. It's unlikely to be true, alas, on phonological grounds as well as because the name is well-attested in Britanny from the 6th cenmtury AD. Shame! I'd always associated "The Alans" (Alan Hansen and Alan Shearer of MOTD) with the heroic invaders of Europe.